Friesian Dressage Pendant in action, just like you see in show! 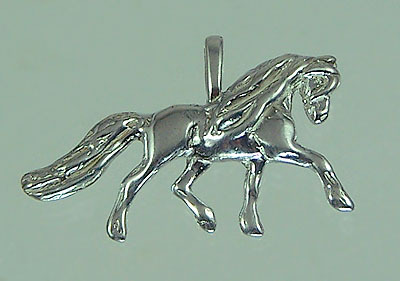 This Friesian Dressage Pendant has an extended step with a flowing mane and tail, very animated. Dimensions: 1 1/8 inches wide X 5/8 inches tall.